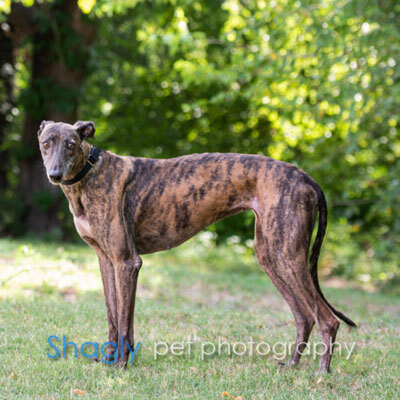 Angie is a four year old dark brindle female found as a stray in west Dallas. Her rescuer is the well known local "Angie" of Angie's Friends. Her left ear has been double tattooed, and it is hopeful the numbers can be deciphered . She arrived with burns on the pads of her feet which are beginning to heal, and it appears she has had many puppies. It is not known at this time if Angie is small animal or cat tolerant. Angie is such a sweet and docile dog. She has fit in nicely with our routine and does well home for over 8 hours during the day while we are at work. We have a doggie door, and it took her only 2 days to figure it out by watching our dog use it. Angie would do best with another dog buddy. She craves attention and having another companion definitely helps with that. When Angie needs anything though, you will know, because she is very vocal about it. Apartment life may not be in her future. We have 2 cats in our house, and Angie ignores them most of the time and other times wants to play with them. It will be important to keep an eye on her around cats until she know thems. Angie loves to play with toys and take them outside to the side yard through the doggie door. She will eventually bring the toys back in though not until she deems them ready to come back into the house and be washed. She loves to go out in the backyard and run circles along her “track”. She just gets so excited when it is time to go outside, and surprises me with how energetic she is once she goes outside. Angie is not allowed on our furniture inside the house, but, I am sure that she wouldn’t mind at all if her new forever family allowed her to get onto their couch. A few times I busted her just snoozing away on our outdoor patio furniture, so she knows the difference between “outside couch” and “inside couch”. 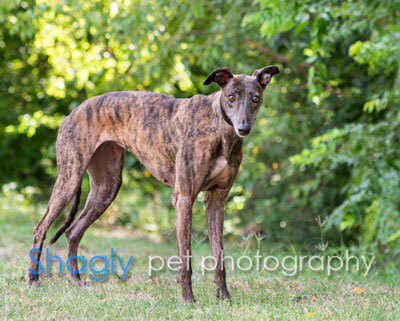 This sweet girl will be a great addition to your pack. She does not want to be the alpha dog, but prefers instead to just be a follower and let someone else lead the way.